Recently, while boating on the Rappahannock River in Virginia, I decided to visit Carter’s Creek in Lancaster County. It is well known for the famed Tides Inn Resort that was established there in 1947. 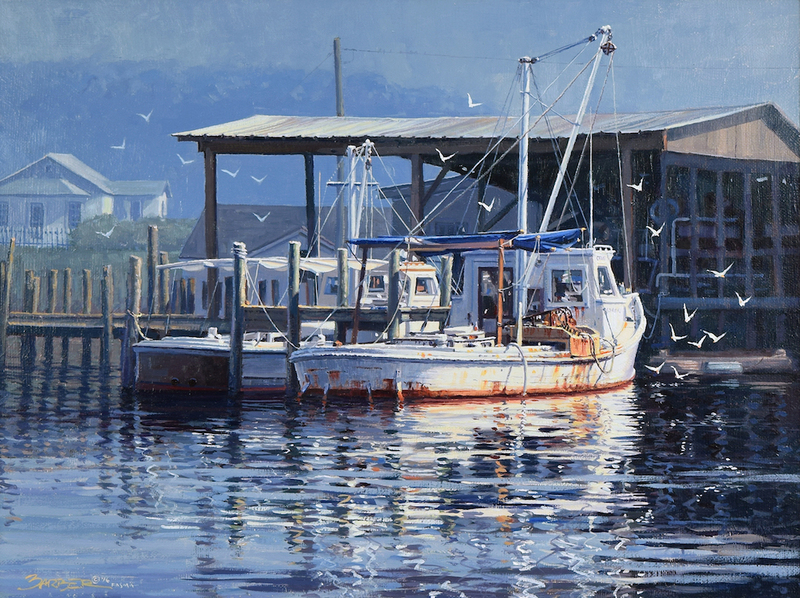 In addition to the Inn the creek boasts beautiful homes, marinas and working vessels such as the ones illustrated in my latest painting. This wharf is found on the western branch of Carter’s Creek that wanders through the village of Weems. These wooden boats are rigged for oyster dredging as evidenced by the mast, boom and steel dredge visible on the boat to the right. This vessel is an old style of locally built boat called a round-stern deadrise. The stern of the boat is rounded and the hull bottom is slightly angled at the rear and referred to as its “deadrise”. 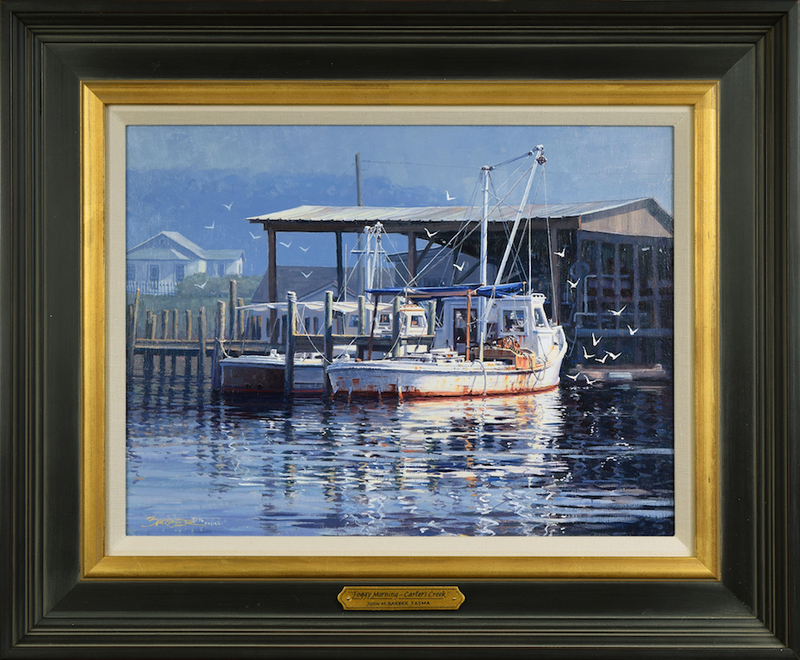 They harvest their catch on nearby oyster beds.